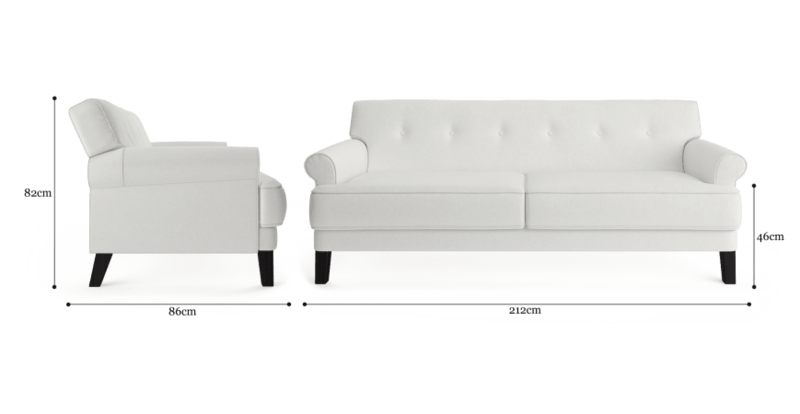 The Sondra Sofa Bed is both versatile and stylish, with a clean and timeless design that will look great in your home. Refined and comfortable with subtle designer details, this high quality piece is built to last! The Sondra comes in an appealing colour palette of light and dark neutral shades in the durable Brosa Classic fabric range, which will hold up against extended daily use. 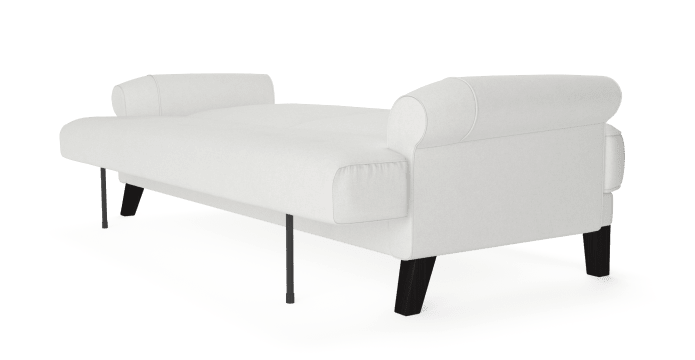 Minimalist button detailing adorns the back of the sofa. You'll never have to worry about hosting extra guests again with the Sondra's ability to change between sofa and bed swiftly and conveniently. Shop more sofas and beds in every style available from Brosa. The Sondra has been made from premium quality materials including a strength tested Pine and Engineered wood frame with solid Birch legs in dark brown that perfectly complete the look. What is the maximum weight this product can hold? How thick is the cushioned seat? Quick delivery times and the whole process was super easy. Very happy with my sofa. Really nice furniture that suited my needs. Great delivery communication and tracking, and the delivery guys were fantastic. Customer support is very responsive and helpful with any issues. Great service during Open Weekend. It made it easier to decide once we saw the product . Delivery was arranged specifically to suit my schedule and arrived as per text messages on tha day . Great experience overall and sofa bed looks good in its space . The site was easy to follow. Images clear and real. Simple purchase procedure. Delivered promptly and in time frame given. Well packaged. Product was as expected. Excellent tracking and pre-delivery notifications via SMS. Fantastic value for money product. Purchased a lovely sofa bed.the service from start to finish was great. Great products very happy with everything I have purchased. Fantastic customer service! Thank you! See, touch and feel our fabrics used on our Sondra Sofa Bed. For Free! Simply select up to 3 fabrics and add them to your cart. Delivery is on us. Good news! Sondra Sofa Bed is currently on display in our Alexandria Collingwood studio.